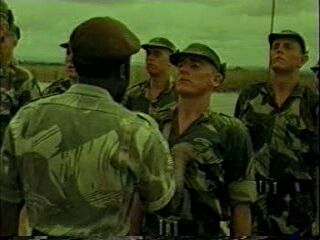 Selous Scout basic trainee being spot corrected by a black Selous Scout. 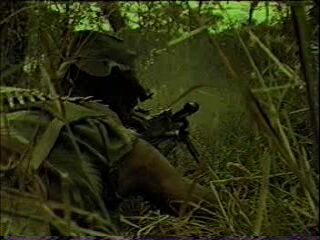 Selous Scout takes up a position in low scrub. 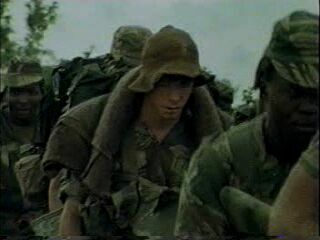 Candidates laden down with heavy packs during selection. 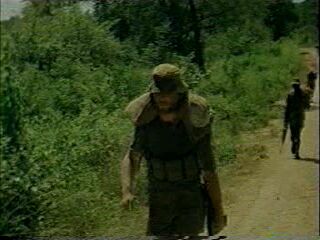 The sandbag carry with load bearing kit and weapon. 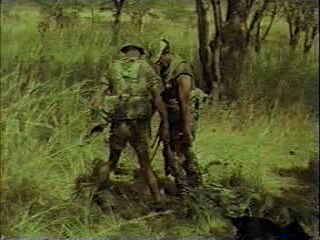 Here two Selous Scouts drag a dead terrorist from the bush to make a detailed body search. The sandbag carry event is conducted with ever present instructors, who will gladly offer a candidate a lift in the "quitters" truck. 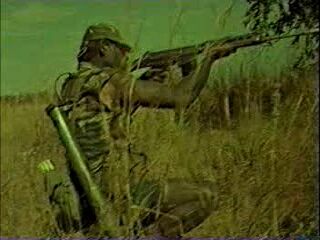 A black Selous Scout takes aim with a FN FAL. 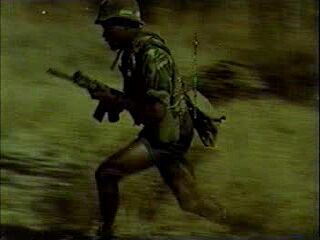 A Selous Scout employing a MAG58 machine gun. 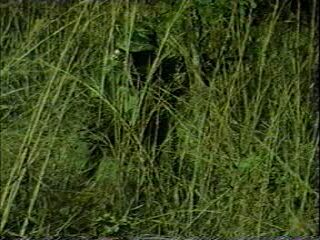 Selous Scout fading away into the bush. 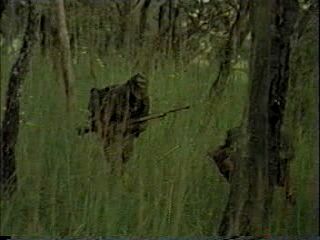 A Selous Scout during a contact in the bush.